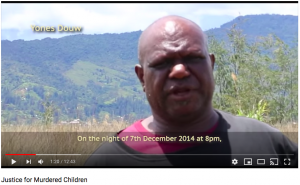 The #MakeWestPapuaSafe campaign is rolling in Australia. Actions were launched in Cairns in November 2018 and April 2019. Our goal is to put pressure on the Australian Federal Police to stop training the Indonesian Police, including the paramilitary Mobile Police Brigade (Brimob) and the counter insurgency group Special Detachment 88 (D88), responsible for killing scores of unarmed West Papuan activists. monitor and evaluate the effectiveness and human rights impact of all aid supplied by the AFP to the Indonesian police. The non-partisan #MakeWestPapuaSafe campaign will use this motion to hold the ALP to account and to leverage greater change. We will continue to apply pressure on other political parties to take steps to stop training and arming the Indonesian police and military. At the same time, we stay in close contact with both the West Papuan community in Australia and with West Papuan leaders inside the country and in the Diaspora. The situation in West Papua is volatile and, as you will have seen, even in the mainstream media there has been an increase in reports of abuse against ordinary people. In 2018 we produced a video about the 2014 Paniai massacre. That 12 min film was released in December and events were held around Australia to remember the school children killed by Indonesian security forces. The film also highlighted the ways families of the murdered children are resisting intimidation and trying to persuade the international community, including the United Nations, to support them to get justice.